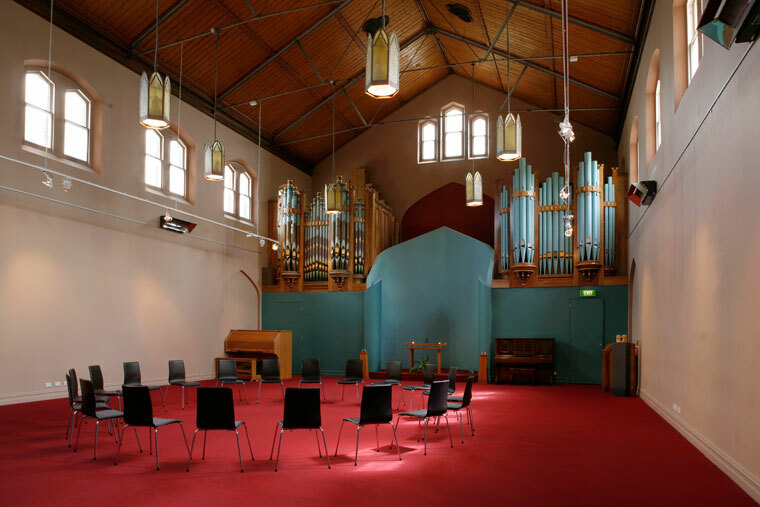 The new interior design of this former Uniting Church Sunday School building was determined through a 2 year community consultation period with the Augustine Centre community which was undergoing major changes. A balance between the existing heritage architecture, history and needs of the centre was struck through the use of colour, finishes and materials. Colours and finishes were selected in consultation with the community to integrate a large hall space, with adjoining rooms for hire by numerous organisations for different functions. This entry was posted in Architecture and tagged AUGUSTINE CENTRE on May 27, 2011 by admin.